And it looks like Nintendo's answer to Microsoft's Project Natal is... a pulse detector. 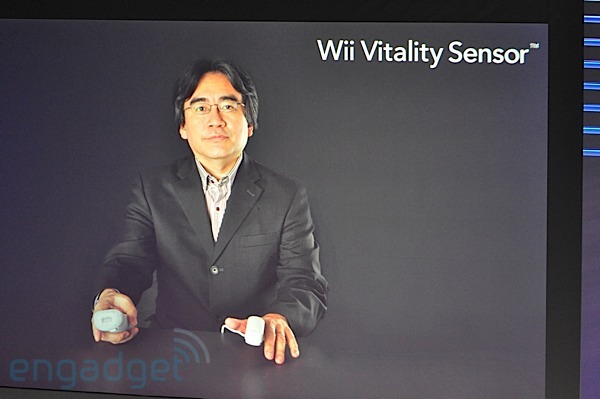 Yep, Ninty's just announced the Wii Vitality Sensor, a finger sensor which attaches to the Wiimote to read your pulse. Details on how the accessory is going to be used in games are pretty vague, but it appears the idea is to check stress, help you relax, and just generally chill out and be groovy. That won't happen for a while yet, though: the Vitality Sensor was described as a "look into the future," so we're guessing we've got a wait in store. Update: Check out the full press release here.